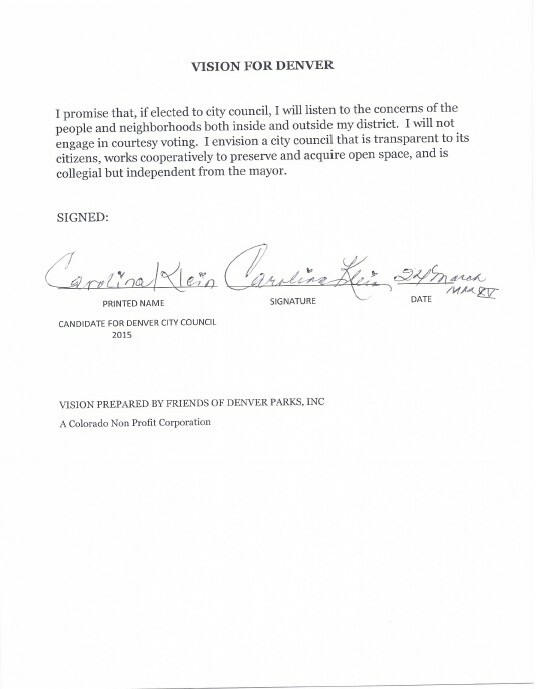 Carolina Klein, an authentic dog lover, squared off in the District 4 Denver City Council race at Calvary Baptist Church against Kendra Black, the favorite of incumbent Mayor Michael Hancock, and Halisi Vinson, the protégé of former Mayor Wellington Webb. The winners? The citizens of District 4. All three candidates committed in writing that, if elected, none of them would engage in courtesy voting, and all of them would remain independent of Mayor Hancock. 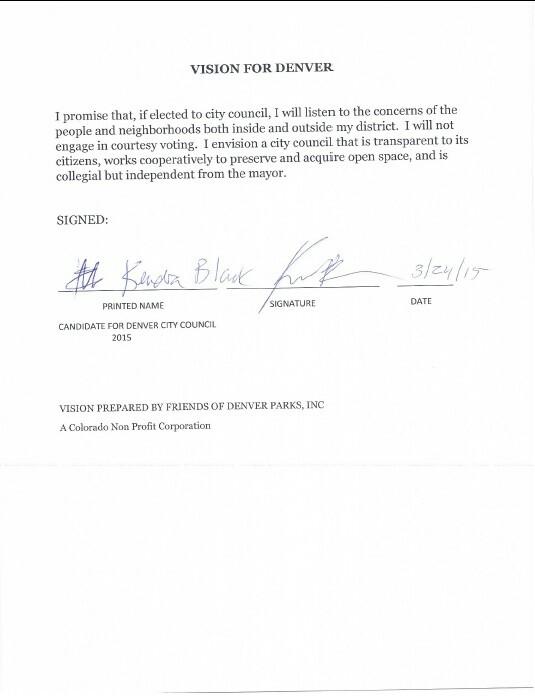 This entry was posted in City Council, elections, Hentzell Park Update and tagged Calvary Baptist Church, carolina klein, Denver City Council, District 1, District 4, Halisi Vinson, Kendra Black, Michael Hancock, Rafel Espinosa. Bookmark the permalink.